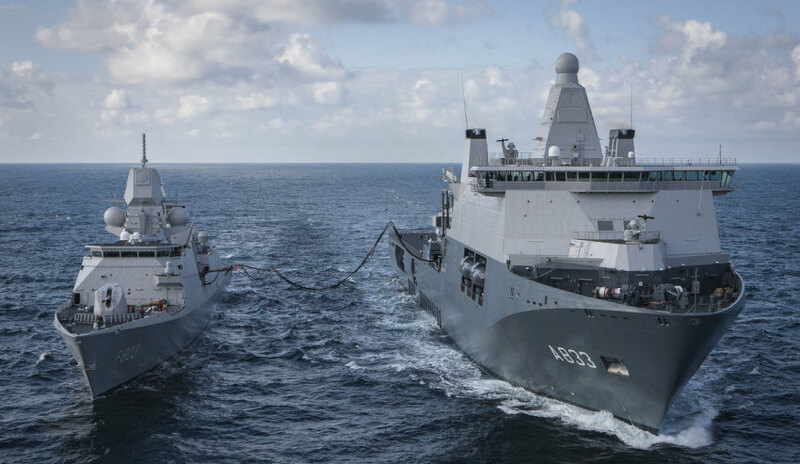 The Netherlands has released a report calling for increased investment into its Navy and maritime sector. The report, The Navy and the Netherlands Maritime Cluster – an ecosystem under pressure, by Policy Research Corporation (PRC), has called for increased investment into the Dutch naval fleet via ‘Launching Customer’ projects. The timing of the report, jointly commissioned by Dutch maritime network associations Maritime by Holland and Netherlands Maritime Technology, together with the Dutch Foundation of Defence and Security Industry, is closely connected with projections showing that the existing Royal Netherlands Navy (RNLN) fleet of multi-purpose frigates, mine countermeasure vessels and submarines will reach the end of their lifespans over the coming decade. Unsurprisingly, leaders in the Dutch maritime and naval industry have thrown their support behind the findings of the report, with Dutch shipbuilder Damen saying an investment in a new fleet would have wide-reaching implications. "The implications for the Dutch maritime cluster go beyond Damen and even the Netherlands’ own borders," Damen said. "On the one hand, increased government investment would uphold the RNLN’s position as a capable and resilient naval force. And on the other hand, greater investment would support the Dutch maritime industry as a whole, thus maintaining its strong standing in the global maritime industry." Damen's CEO René Berkvens said the company is proud of its relationship with the RNLN and is completely supportive of any initiatives of investment in a new fleet moving forward. "We are extremely proud of our strong relationship with the Royal Netherlands Navy – and it must be said that this has been made possible with the close co-operation and concerted efforts of the entire commercial maritime sector and associative research institutes here in the Netherlands," said Berkvens. "Sustained and innovative investment by our government in the Royal Netherlands Navy is of vital importance for the future state of the Dutch shipbuilding industry in general. And, in particular, those parties responsible for the development and construction of modern naval vessels. Damen wholeheartedly supports the initiatives laid down in this report." Damen Shipyards Group operates 33 shipbuilding and repair yards, employing 9,000 people worldwide. Damen has delivered more than 6,000 vessels in more than 100 countries and delivers some 180 vessels annually to customers worldwide. Damen is tendering for SEA 1180 Phase 1 Project to deliver 12 Offshore Patrol Vessels (OPVs) to the Royal Australian Navy. The Dutch shipbuilding firm has teamed with ASC Forgacs Shipbuilding, a joint venture established to compete for the foundation project of Australia’s continuous naval shipbuilding enterprise.